Prepare for bold style carrying the Loeffler Randall™ Wicker Bucket Tote. Tote bag made of 100% strong, inter-woven wicker in an eye-catching vase shape. Recycled wooden beaded top carry handle. Brand name logo patch featured in front. Spacious lined interior in playful polka dot pattern. 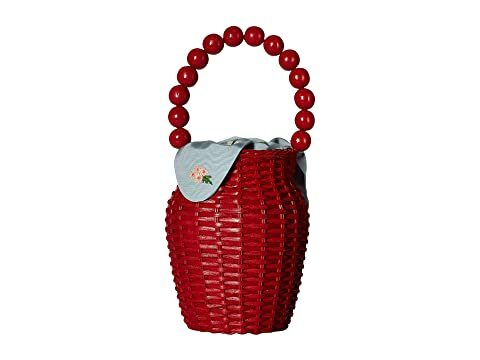 We can't currently find any similar items for the Wicker Bucket Tote by Loeffler Randall. Sorry!